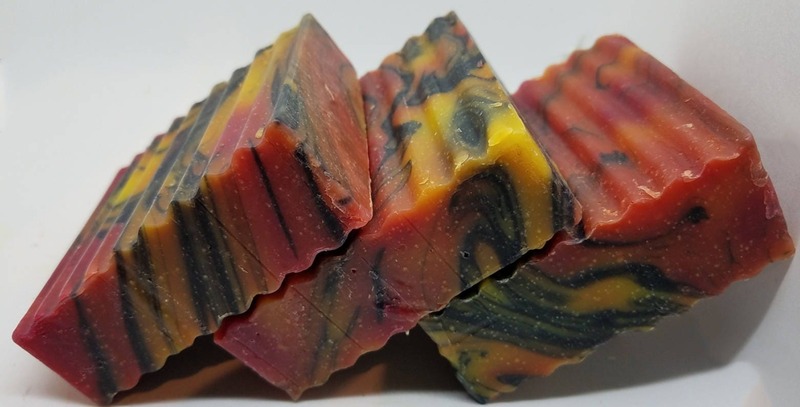 Our Gobi Gold, homemade soap is a wonderfully fragrant bath soap. 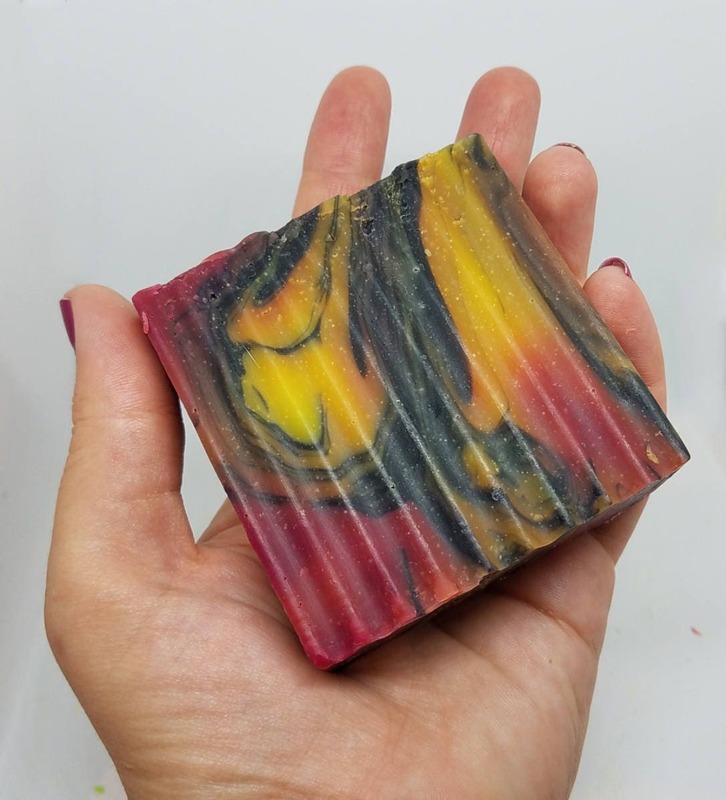 With the scents of sweet oranges, patchouli, plumeria, Amber and vanilla, this is a wonderful mens activated charcoal soap. 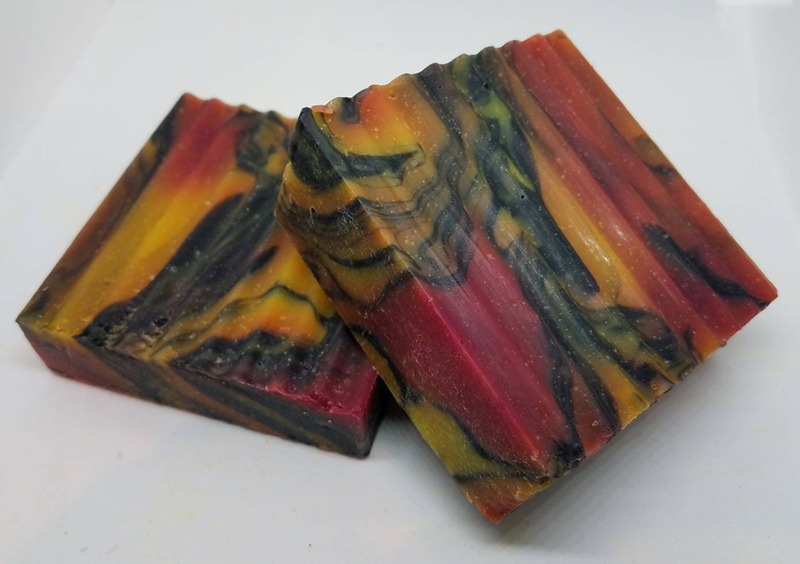 A perfect dad gift or husband gift, activated charcoal provides a fine exfoliation leaving the roughest skin hydrated, detoxified, and smooth. 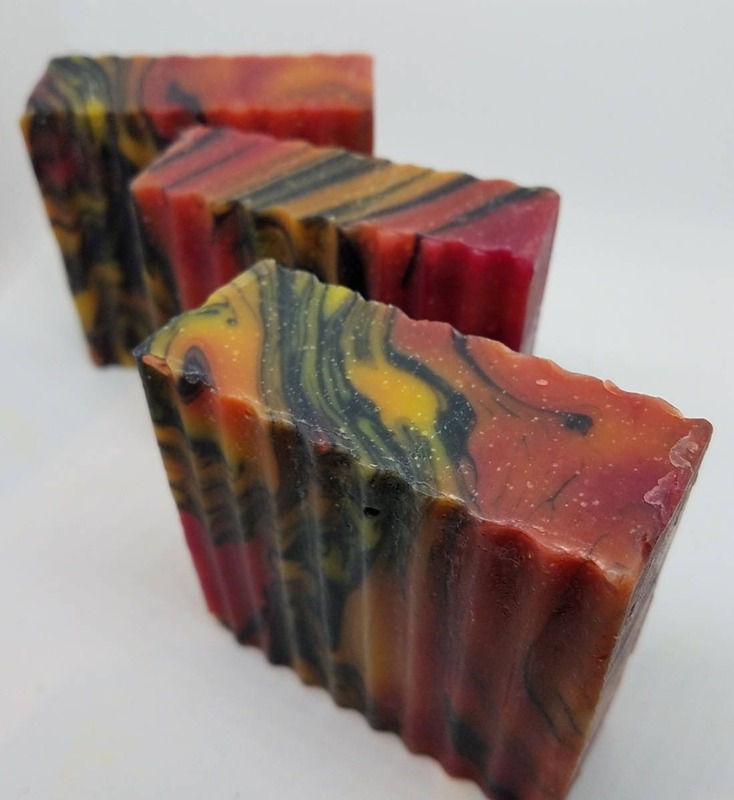 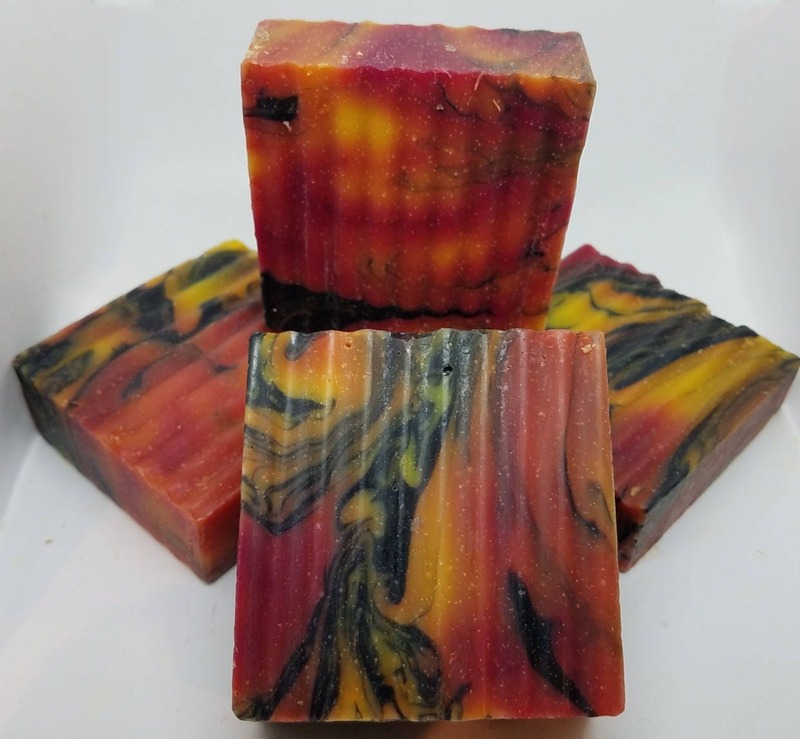 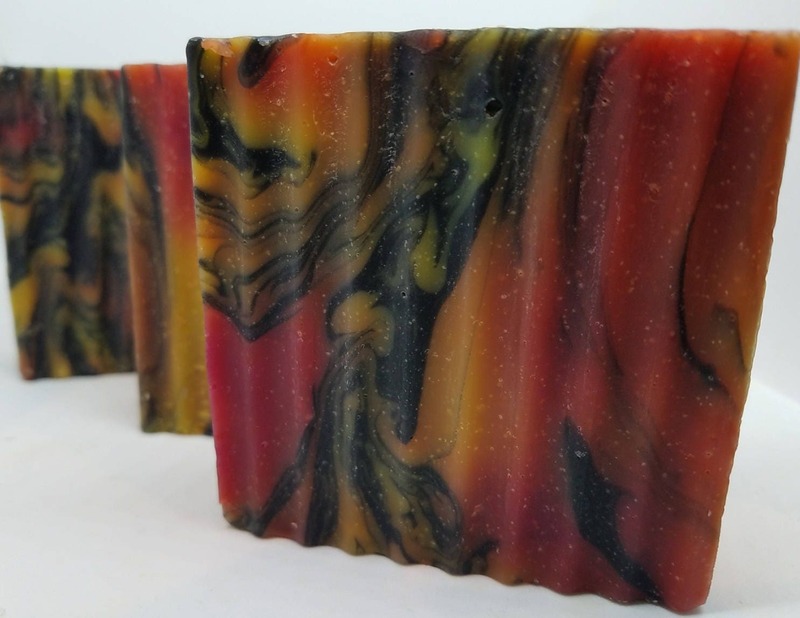 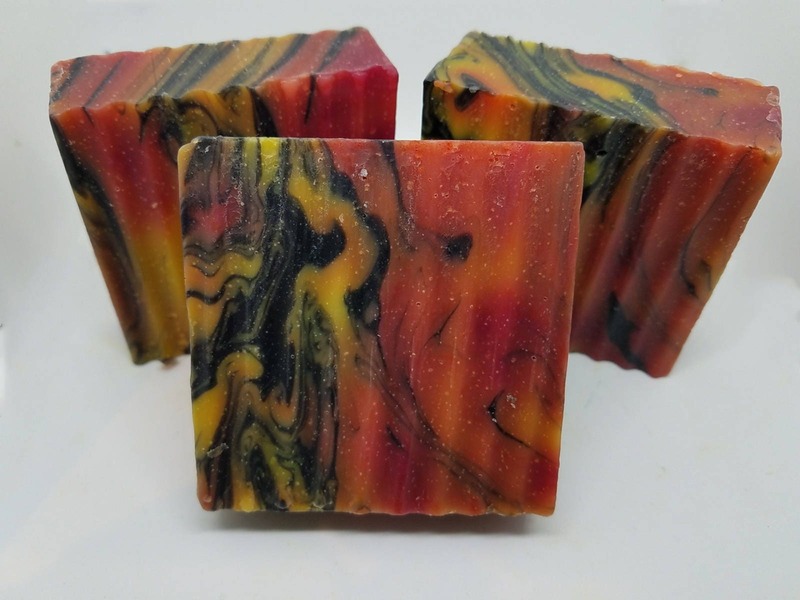 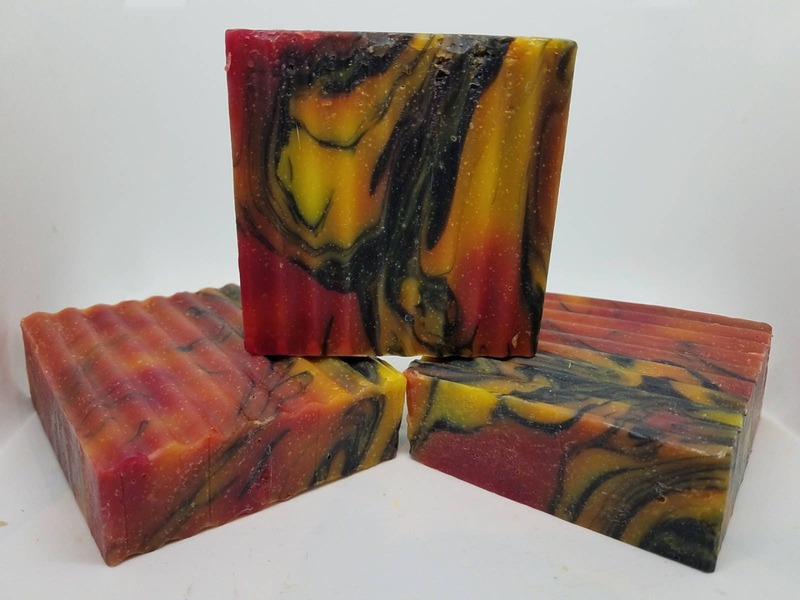 Our Gobi soap is beautifully crafted with swirls of orange, yellow and black.